This location was one of my local A&P's actually! The other one was Wayne, but this location was much nicer. With World Market and AndThat! here now, you can hardly tell it was an A&P(from the front at least). Someone who doesn't know the area very well or much about A&P would probably assume that the Best Buy next door/across the river was the A&P. Glad I covered your local A&P! There will be a store tour of this location soon... I promise! World Market and (oh boy, this is repetitive "and AndThat!") AndThat didn't do much to the building itself... its just that they took off A&P's recognizable canopy. The entrances and pylon signage are still the same. 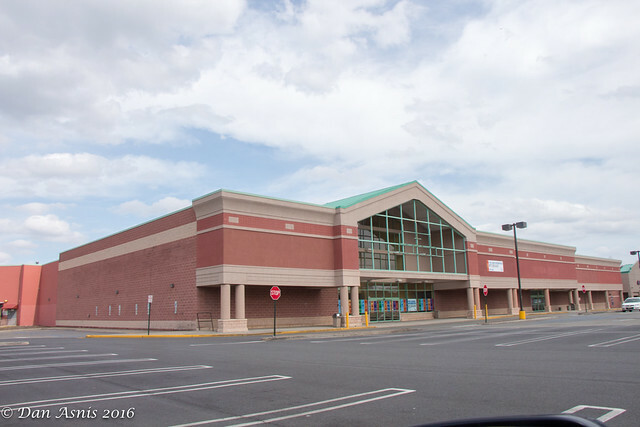 Too bad A&P didn't live another year... the Wayne location was planned to have substantial renovations, and their plans were for the store to end up looking like the New Providence, NJ location- but that never happened because of their bankruptcy. However, the new tenant of the Wayne location (Whole Foods), kept A&P's facade plan and has been executed!